With journalists working in dangerous corners of the world being thrown in prison or murdered in record numbers, the Deputy Secretary-General joined veteran reporters today urging the United Nations Security Council to stand up against all acts to suppress media freedom wherever and whenever they occur. “When journalists are killed, information about threats to international peace and security is often buried,” Deputy Secretary-General Jan Eliasson told the Council in a special meeting devoted to the protection of journalists in armed conflict. He added that the 15-member body may wish to consider the targeting of journalists and other threats to freedom of expression when addressing situations on its agenda. Every time a journalist is killed or intimidated into silence, “there is one less voice to speak on behalf of the victims of conflict, crime and human rights abuses…one less observer of efforts to uphold rights and ensure human dignity,” said Mr. Eliasson. Today’s meeting is the first time the Council specifically considers the issue of protection of journalists in armed conflict since it adopted resolution 1738 on the issue in 2006, and the first time four international journalists directly address the UN body. The UN Plan of Action on the Safety of Journalists and the Issues of Impunity aims to create a free and safe environment for journalists and media workers, both in conflict and non-conflict situations, as a prerequisite for freedom of expression and democracy. The Plan was approved in April 2012 by the UN Chief Executives Board and led by the UN Educational, Scientific and Cultural Organization (UNESCO). A multi-dimensional, multi-actor approach, the Plan requires cooperation from Governments – particularly through Ministries of Information, academia, as well as media houses and civil society to conduct awareness about threats to journalists. Mr. Eliasson encouraged all UN entities to submit information which could contribute to journalists’ greater safety. Stressing the importance of freedom of expression, Mr. Eliasson highlighted that the fundamental human right at the heart of journalistic work is in the report of the Secretary-General’s High Level Panel of Eminent Persons on the Post-2015 Development Agenda. The report aimed to outline a new framework building on the eight anti-poverty targets known as the Millennium Development Goals (MDGs). Citing CPJ figures, she noted that 5 in 6 murdered journalists are killed in their own hometowns covering local stories, often related to crime and corruption, and that 90 per cent of the cases go unpunished. Mr. Engel argued that protecting journalists is harder than ever because of the blurred delineation between who is a journalist and an activist. “If the discussion today is about protection journalists, you have to decide who gets protection? Who deserves it? And who forfeits it,” Mr. Engel asked, noting that professional journalists for State and private media, as well as freelancers who join rebel groups and carry guns, are often lumped in the same category. Saying that war-time reporters were often referred to as “dead men walking”, Mr. Abdinur said that scores of journalists had been killed covering the decades-long conflict in Somalia. He longed for the day when the perpetrators of such crimes were prosecuted and punished, as the vast majority of perpetrators today continued to kill with impunity. For his part, Mr. Abdul-Ahad echoed many of the same sentiments, saying there is a sense of immunity for all those who captured journalists; they were never questioned and they never paid for it. That created a sense that professional journalists were “asking” for trouble just by being on a particular scene. “But we have to be there; we are telling the story,” he said. “We would happily be sitting in our countries and writing from our desks,” he said, but by covering conflicts today, journalists became part of them. When he had been detained in Afghanistan and Libya, certain groups helped with his release, but other reporters had been left behind. Professional journalists were part of a community of informers who deserved protection. If the Security Council could do more to recognize journalists as a part of a “humanitarian effort to tell a story”, perhaps the 15-member body could foster their protection, he suggested. Note: a complete summary of today’s Security Council meeting will be available after its conclusion. The Security Council met this morning for an open debate on the subject “Protection of civilians in armed conflict: protection of journalists”. JAN ELIASSON, Deputy Secretary-General of the United Nations, said freedom of expression was a fundamental human right, guaranteed in article 19 of the Universal Declaration of Human Rights and constituting an essential pillar of any society. It depended on and was nurtured by independent and informed pluralistic media — “the lifeblood of democratic and informed discourse and debate”. Noting that more than 600 journalists had been killed in the past decade while exercising their critical role, he recalled that, just 10 days ago, Somali television journalist Libaan Abdullahi Farah had been shot dead on his way home. His murder was not an isolated case. Journalists were at grave risk in armed conflict and in many non-conflict situations around the world. In the former situation, however, they were particularly vulnerable, he said, pointing out that 41 journalists had been killed in Syria during 2012, and 108 in Iraq and Afghanistan since 2006. He said the United Nations “Plan of Action on the Safety of Journalists and the Issues of Impunity” had been launched to create a safe environment for the media in both conflict and non-conflict situations. Approved in April 2012 by the United Nations Chief Executives Board, with the United Nations Educational, Scientific and Cultural Organization (UNESCO) in the lead, it relied on the support of Governments, local media, civil society and academia, and encouraged all United Nations entities to submit information contributing to greater safety for journalists. KATHLEEN CARROLL, Senior Vice-President and Executive Editor, Associated Press, and Vice-Chair, Committee to Protect Journalists, said most of the Associated Press journalists killed on assignment under her watch, like the 26 others killed in the agency’s history, had died while covering conflict. They had fallen during the Spanish-American war in Cuba, the Russo-Japanese war, the Korean conflict and the Second World War. Many had been shot dead in an ambush, a riot or at a checkpoint, she said, recalling that others had been captured, tortured and shot by the Nazis. “These people are part of our professional family,” she continued. “They are in my head and heart each time we send AP journalists off into the world’s many treacherous spots.” However, most journalists dying today were not caught in some wartime crossfire, but murdered “just because of what they do”. The Committee to Protect Journalists documented attacks on journalists each year, and their annual accounting was grim, she said, noting that more than 30 journalists were murdered every year, with many abducted and tortured first. “Why should the world’s leaders care about threats against journalists?” she asked, stressing that journalists represented the ordinary citizen, asking questions on their behalf. “They go places the people cannot and bear witness.” An attack on a journalist was a proxy for an attack on the people and their right to information, she said, adding that today, average citizens with cell phones and cameras also took part in journalism. The threat to them could be just as great as the threat to professional journalists, she warned. RICHARD ENGEL, Correspondent, NBC, said he had been kidnapped in Syria six months ago, but had been able to escape following a gunfight. In Istanbul’s Taksim Square, everyone had seemed to have a camera or cell phone, and some had even worn gas masks, indicating that they were part of the clashes. Some people had carried stones, as well as cell phones, he said, noting that such a situation was, indeed, very confusing from the police perspective. Protecting journalists meant determining who was a journalist, a task that was perhaps harder than ever these days because distinguishing between journalists and activists was more ambiguous than ever before. Going back just 15 years, journalists had been part of a league, similar to diplomats, who carried badges and were protected in their job, which often involved upsetting powerful and dangerous people, he said. “We were like diplomats posted to faraway places, but who needed a type of special status so we could be objective.” It had worked well for more than a century, but now bloggers, tweeters and freelancers saw themselves as activists. Indeed, some freelancers joined rebel groups and carried guns, he pointed out. If today’s discussion was about protecting journalists, it was necessary first to decide who was to be protected. He went on to note that many rebels in Syria carried cameras and some called themselves journalists, but they were rebels with cameras and part of the fight. If one could not or would not write an article critical of one’s own cause, then one did not deserve to be treated like a journalist. Similarly, a reporter working for Syrian State television who could not or would not write against the Government was not a journalist. In terms of activists using Twitter, for example, he said they might get the information right, but when they were arrested, the question became what should be done and whether they should be offered the same protection as journalists. “Just because one uses Twitter does not necessarily mean they are a journalist,” he emphasized. It was a judgment call, but somebody must make it because such distinctions were important, he stressed, noting that today’s Governments, even tyrants, seemed happy with the ambiguity. There was no longer greater respect for career journalists arrested, kidnapped and killed than for non-journalists, he said, recalling that Governments used to know that such actions had consequences. Today, all “journalists” were seen as troublemakers and part of the same nebulous category, yet professional journalists needed protection and immunity, just like diplomats. GHAITH ABDUL-AHAD, Foreign Correspondent, The Guardian, said there was a “systematic hunting down of journalists”, and a sense of impunity on the part all those who captured journalists; they were never questioned and never paid for it. Indeed, such officials were never brought to trial or shamed before world public opinion. That created a sense that professional journalists were asking for trouble just by being on a particular scene. “But we have to be there; we are telling the story,” he said, noting, however, that journalists no longer enjoyed “exclusivity” because many people were now telling the story. He said jailers often accused journalists of starting trouble from behind bars, but it was the masses in the streets, their dictator, oppression, or perhaps the local famine causing the problem. “We would happily be sitting in our countries and writing from our desks,” but by covering today’s conflicts, journalists became part of them. He said that, when he had been detained in Afghanistan and Libya, certain groups had arranged his release, but other reporters had been left behind. Professional journalists were part of a community of informers who deserved protection, he emphasized. If the Security Council could make an effort to recognize journalists as a humanitarian effort to tell a story, perhaps it could foster their protection. MARK LYALL GRANT ( United Kingdom) said “journalists help to shape our understanding of the world”, a process that was particularly important in conflict situations. “They go where most of us are unable to go”, seeking out and bearing witness to human rights and other violations. Unfortunately, journalists, human rights defenders and representatives of non-governmental organizations continued to be targeted, he said, recalling that, in 2012 alone, 121 had been killed and more than 200 imprisoned. “States must do more not only to protect journalists, but to bring to justice those who kill them,” he stressed. LIMBIYE KADANGHA-BARIKI ( Togo) said journalists worked in increasingly difficult situations, risking their lives to report on conflicts and violations of rights. The murder of journalists in 2012 had risen by 49 per cent over the previous year, he noted. Togo welcomed the various initiatives undertaken by regional and subregional entities, including the African Union’s convening of a workshop on the protection of journalists. Such initiatives should contribute to the establishment of a legally binding instrument guaranteeing the protection of journalists in situations of armed conflict, he said. Indeed, the protection of journalists in situations of armed conflict went beyond States, requiring the attention of the United Nations and the Security Council in particular. LI BAODONG ( China) said that implementing the relevant Council resolution was an effective way for the international community to protect journalists in war. However, the countries concerned should assume the primary responsibility of protecting civilians in conflict on their territories, including journalists. Those causing harm to journalists should be investigated and punished in cases, and judicial systems should play their full role, as should the entire United Nations system. In that regard, China appreciated the United Nations Plan of Action, but cautioned against duplication, encouraging efficiency instead. For their part, professional journalists should abide by their code of conduct and avoid siding with one party or even inflaming violence, he said. The Council should adopt an integrated conflict prevention and peacebuilding strategy that would enhance the protection of civilians, including journalists. GARY QUINLAN ( Australia) said journalists brought the humanitarian cost of conflict into stark relief. “News stories and images make the consequences of our inaction harder to ignore,” as in Rwanda and Syria. They could help compel Governments and bodies such as the Security Council to take action, he said. Syria was a tragic illustration of the impact of conflict on journalists, while Mali had registered the biggest fall in press freedom in 2012 after the military coup there and the takeover of the north by armed groups. Parties to armed conflict must uphold all applicable international laws to protect civilians, including those applying to journalists, he emphasized. However, the Security Council itself could do more to protect journalists in conflict situations, he said, welcoming the fact that the resolution establishing the United Nations Assistance Mission in Somalia (UNSOM) included a reminder to that country’s Government of its obligation to protect journalists. The Council could also assist by mandating peacekeeping missions to address the freedom and protection of journalists in their support for rule-of-law institutions, he added. GÉRARD ARAUD (France) recalled that his country had joined Greece six years ago in proposing a draft resolution that had eventually become Security Council resolution 1738 (2006) on the protection of journalists. Despite that decisive step, however, the Council’s efforts had proven far from sufficient. The year 2012 had been particularly murderous, with female journalists, and bloggers in particular, increasingly targeted and numerous journalists in Syria killed or kidnapped in the line of duty. “The challenge of protecting journalists is one that we still have to meet,” he said, emphasizing that it was the primary responsibility of States to protect journalists and punish those responsible for crimes committed against them. Peacekeeping operations should also provide better protection to journalists, in their capacity as civilians, and the Security Council must also play its role, he said. VITALY CHURKIN ( Russian Federation) said the primary responsibility to protect journalists was borne by the warring parties, but agreed that the United Nations and other international organizations had a supporting role to play. Noting that UNESCO focused on the protection of journalists while the Human Rights Council dealt with human rights aspects of the topic, he said the task of the Security Council was to focus on issues relating to the protection of civilians. Much could be learned from the work of the media, including their reporting on the illegal smuggling of weapons from Libya into Syria and violations of the Libyan weapons embargo, he said, calling for the completion of that effort. Finally, he warned that journalists must be careful not to take “unjustified risks”, and should abide by reasonable, common sense guidelines, in addition to complying with the host country’s laws. KIM SOOK ( Republic of Korea) said threats against journalists in armed conflict situations were deeply troubling, and their chilling effect could lead to self-censorship. The situations in Syria and Somalia were of particular concern, he said, underlining in that context that those responsible for violations against journalists should be pursued and held accountable, no matter how long it took; that greater coordination and cooperation was needed between United Nations agencies, Member States and civil society with regard to ensuring the safety of journalists; that protection should be provided for a broad spectrum of journalists; and, that the Security Council should be more vigilant about the safety of journalists and consider including in relevant documents specific language on their protection. GERT ROSENTHAL ( Guatemala), while asserting that the primary responsibility for protecting journalists lay with the Government of the country in conflict, said the international community must also contribute to the creation of an environment that would offer incentives to encourage States to respect the rights of journalists and impose consequences on those who might try to compromise those rights. 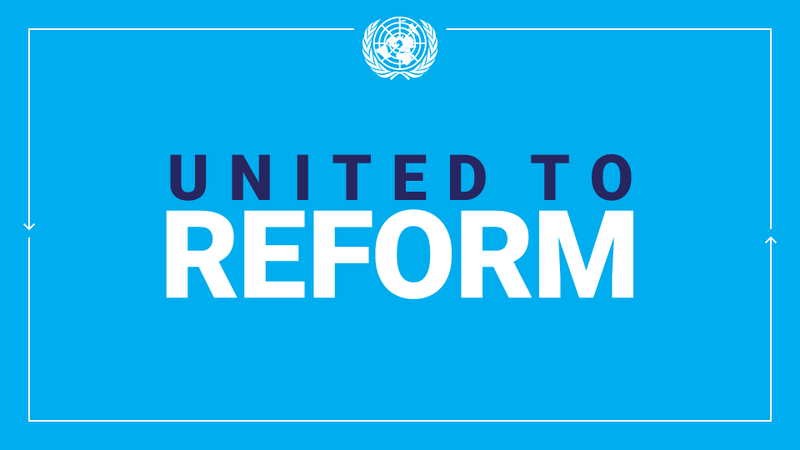 Guatemala fully supported resolution 1738 (2006) and, as a Council member, had added its voice to the presidential statement issued last February. However, the situation on the ground was not improving, and the index of impunity for crimes against journalists, media professionals and associated personnel remained very high. The Rome Statute typified grave violations of international humanitarian law as war crimes, he said, recalling, as well, that the Assembly of States Parties to the Rome Statute had acknowledged in many resolutions the need for States and other parties to armed conflict to protect journalists as civilians, in accordance with international humanitarian law. SYLVIE LUCAS ( Luxembourg), noting that journalists were being killed in the line of duty at a nearly alarming rate, said that, in today’s interconnected world, “information reigns supreme and journalists are the principal means of delivery”. A free press was a sign of a democratic society’s vibrancy, and its absence a certain sign of authoritarianism. In times of armed conflict, the role of journalists took on yet another dimension as it contributed to ensuring that the world knew what was unfolding. At the same time, their profession was increasingly life threatening, given the unprecedented number of detained and murdered journalists. Six had been killed in Somalia so far this year, making that country one of the most dangerous in the world for media professionals, he said, adding that 51 had been killed so far in 2013, many of them in Syria. While condemning the targeting and intimidation of journalists, he said that was not enough, emphasizing that their protection must be guaranteed under international humanitarian law. AGSHIN MEHDIYEV ( Azerbaijan) said that in exercising their profession, journalists sometimes encountered greater danger than civilians in armed conflict. Several important steps had been taken to ensure their protection, and international law set out clear provisions, he said, citing in particular the Universal Declaration of Human Rights, the Covenant on Civil and Political Rights and the 1949 Geneva Convention. Echoing previous speakers, he said journalists in armed conflict should be considered as civilians and, as such, protected under international humanitarian law. Security Council resolution 1738 (2006) also recognized that, insisting on their protection as long as they were not playing a direct part in hostilities. In spite of a number of other important efforts recently undertaken at the international level, acts of violence against journalists, particularly their deliberate targeting, enjoyed impunity and remained widespread, he said. EUGÈNE-RICHARD GASANA (Rwanda) said he was alarmed by reports of failure by parties to conflict to comply with their international obligations to protect journalists, and further concerned that the violence in Syria and other countries continued to endanger journalists. In that context, the Security Council should recognize the particular vulnerabilities of journalists in its resolutions and other official documents, and include the protection of journalists in its peacekeeping mandates. “The best protection is the prevention of armed conflicts in the first place,” he emphasized, recalling that the 1994 genocide in his country was a stark reminder that “information can save lives or kill”. In Rwanda’s case, the media had infamously urged citizens to “pick up machetes” and kill their neighbours, he said. MOHAMMED LOULICHKI ( Morocco) said that, despite recent efforts, attacks against journalists continued unabated. “In a world which is full of sources of information, journalism is a vital function, and unfortunately, also a dangerous one,” he said. The fundamental right of journalists to life, and to exercise their career in safety, must be guaranteed, and they must also have access to all areas where their work was required. In that context, he called upon international organizations and Member States to continue to strive for an environment conducive to the work of journalists around the world. SAHEBZADA A. KHAN ( Pakistan) said the role of media in shaping public opinion, as well as their moral and political choices in conflict situations, was becoming increasingly decisive in the modern world. “We need to take a fresh look at contemporary threats against journalists in armed conflicts in view of the increasingly complex nature of conflict situations, the increased use of terror tactics, the blurring of boundaries between warring parties […] and new and emerging trends, such as the concept of embedded journalists,” he said. The problem was not a dearth of international legal standards and norms, but a lack of understanding and implementation. It was, therefore, important to engage in a well-coordinated and comprehensive international awareness-raising campaign highlighting existing provisions and pointing out the consequences of violating them, he said. It was also critically important to achieve the “delicate balance” between the safety and security of journalists and the need for unfettered access to conflict areas. MARÍA CRISTINA PERCEVAL( Argentina) welcomed the April 2012 approval of the United Nations Plan of Action and expressed hope that it would spur strengthened measures to protect journalists and ensure accountability. It was often said that the truth was the first casualty of war, she said, adding that it appeared that those who told the truth came next. Describing the experiences of journalists in Afghanistan and later in Syria, she called for an end to attacks on them, and the subsequent impunity, noting that 70 per cent of the more than 900 attacks on journalists had gone unpunished. Even with the necessary precautions, war correspondents were engaged in a very risky profession, she said, emphasizing, however, that that was neither a necessary condition for practising journalism, nor a necessary consequence of war. Council President ROSEMARY DICARLO (United States), speaking in her national capacity, said the Security Council must remain well informed to fulfil its mandate, and had recently benefited from the media’s work in Libya and, currently, in Syria. But, their reporting was not without consequences, she said, noting that the Assad regime continued to kill, imprison and torture journalists. Given the value of journalists to the Council’s work, it must do all it could to protect them, she said. The Secretary-General should increase his focus on their safety in his reports, and Member States, especially those contributing to peacekeeping missions, should ensure that their judicial, law enforcement and military personnel were aware of the need to protect journalists. New and emerging technologies had transformed the way in which journalists worked, allowing wider and more rapid dissemination, she noted, stressing that all Member States must maintain and safeguard that infrastructure. The Council had an obligation to protect those who provided it with so much vital information, she added. LUIZ ALBERTO FIGUEIREDO MACHADO ( Brazil) stressed the collective responsibility of all actors to protect media professionals, and firmly repudiated the killing, harassment, intimidation and kidnapping of journalists, as well as all other forms of violence. Combating the impunity often surrounding such attacks was another central task for parties to conflict, State actors in particular, as bringing perpetrators to justice was a strong deterrent against future violations. Protecting journalists in armed conflict also required full respect for the privacy of their professional communications, he stressed, stressing in that context that secret surveillance programmes were a source of grave concern because they violated both the human rights of individuals and the sovereignty of States. In that regard, member States of the Southern Common Market (MERCOSUR) had decided to take a number of measures, including at the United Nations, with a view to seeking the adoption of multilateral rules for governance of the Internet, he said. This entry was posted in News and tagged 1738, Gary Quinlan, Ghaith Abdul-Ahad, Jan Eliasson, Jim McLay, journalist, Kathleen Carroll, MDGs, Mustafa Haji Abdinur, Richard Engel, Security Council, UN Plan of Action on the Safety of Journalists, UNESCO on July 18, 2013 by United Nations.